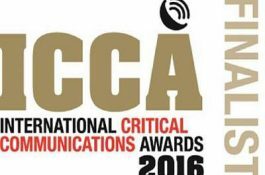 Radlink, along with other outstanding companies, talented individuals and innovative solutions, was celebrated for excellence at the recent International Critical Communications Awards in London.The awards categories offer recognition of high achievement for products, applications and solutions across the full range of TETRA activity, in both mission critical and business critical organizations.Radlink’s entry into the Outstanding Single-site TETRA Installation category was a finalist for the Treasury Hotel & Casino Brisbane project. This is a fantastic achievement and recognises the quality and innovative nature of the work of Radlink. The winner was Hytera Mobilfunk GmbH, Annual Meetings of the Boards of Governors of the World Bank Group (WB) and the other finalist was IMF & Riedel Communications, Toronto 2015 Pan Am Games. At the 2015 awards, Radlink was Joint Winner for the BVR5000 Controller with Finland’s Suomen Virveverkko Oy for the Hybrid Approach to LTE.